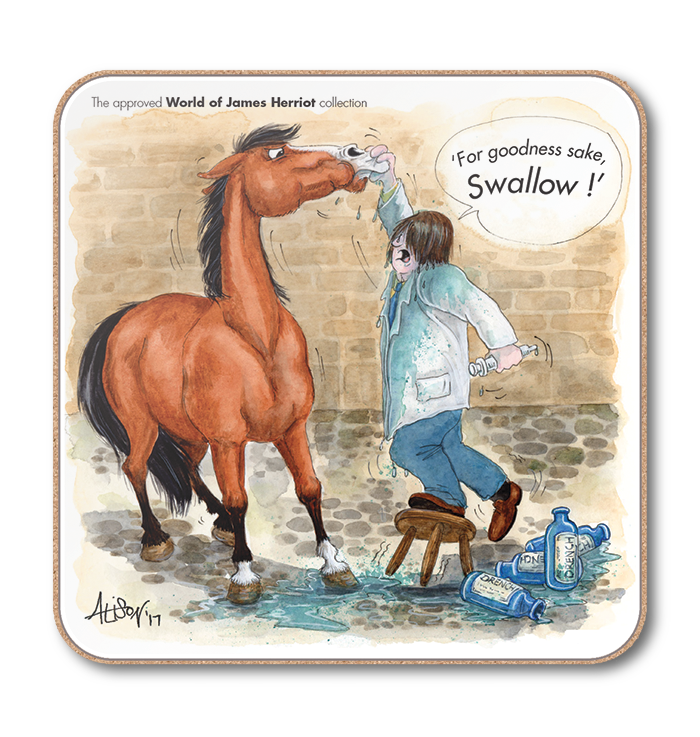 They’ve already passed the five year test! 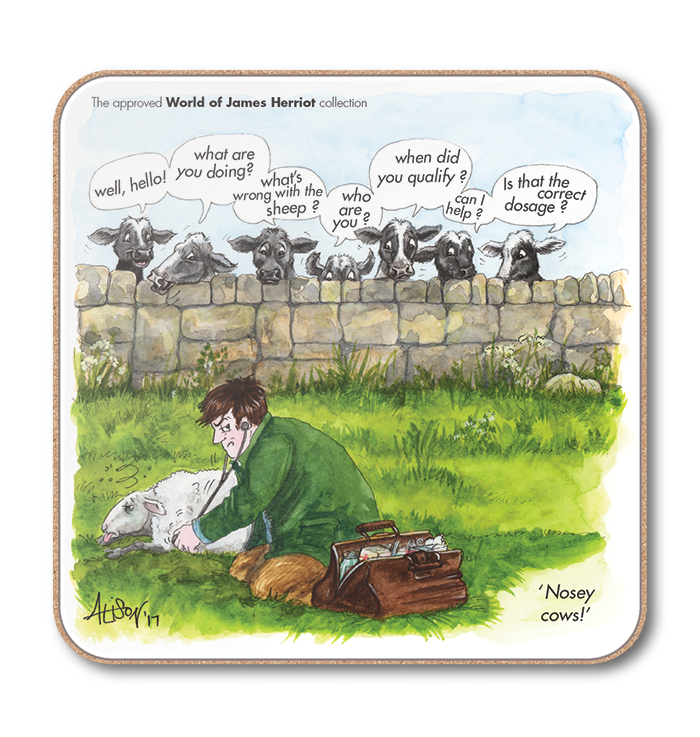 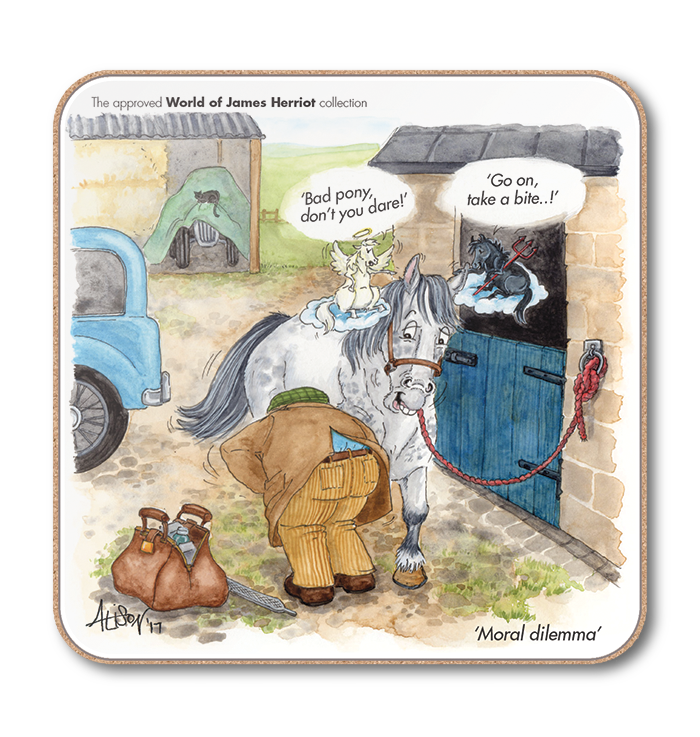 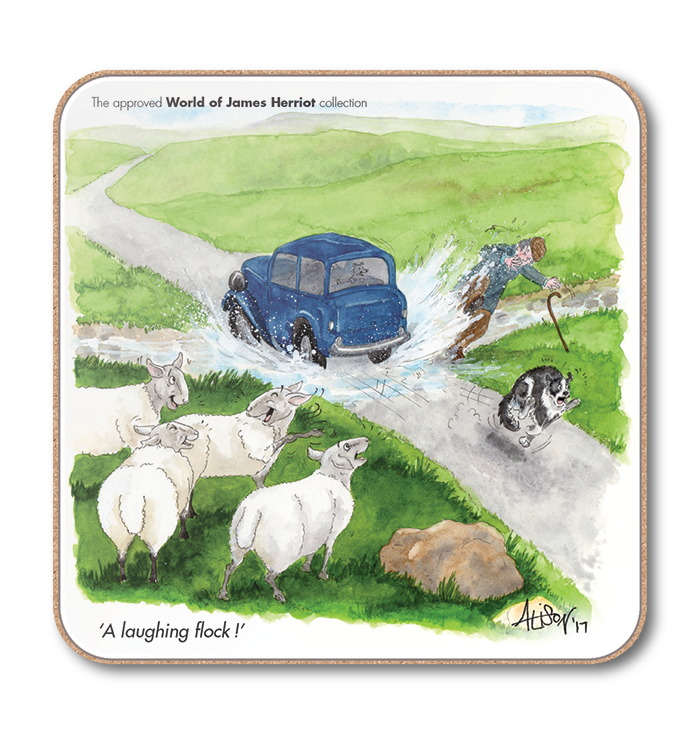 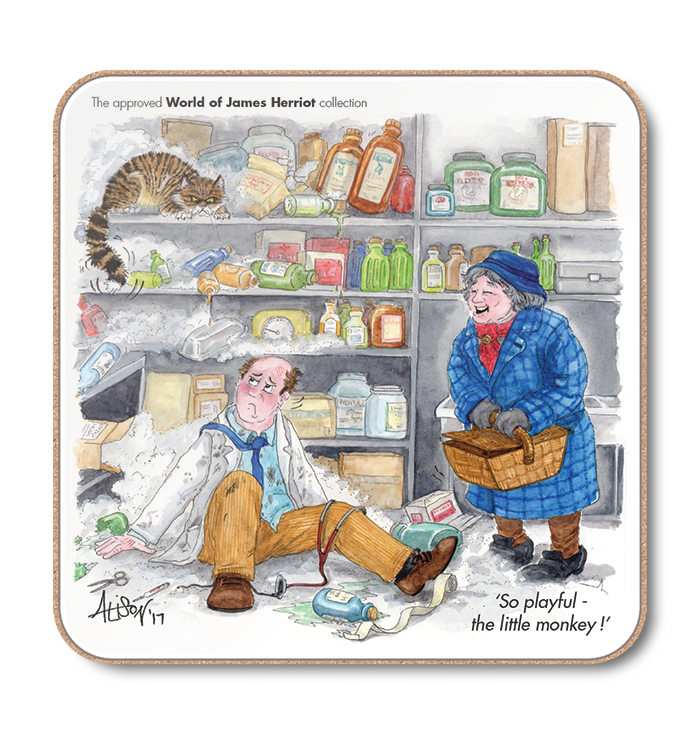 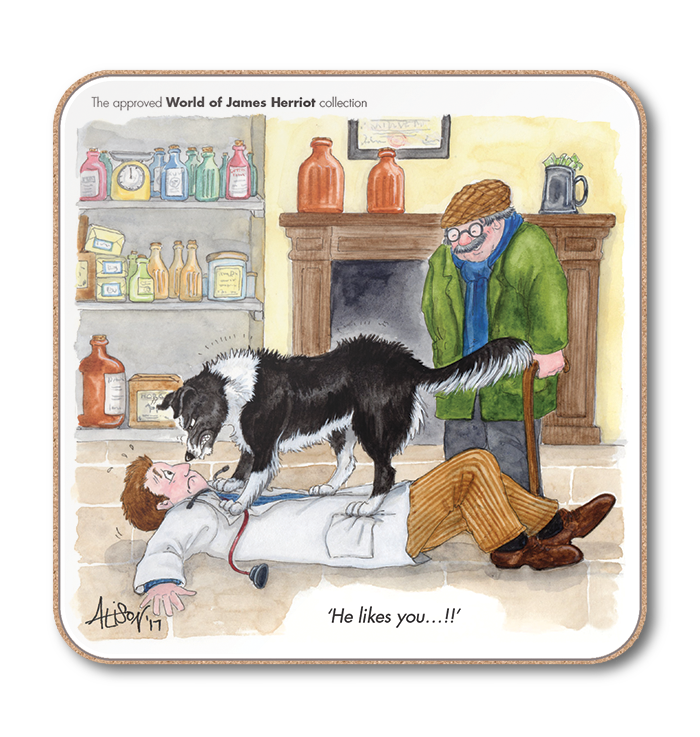 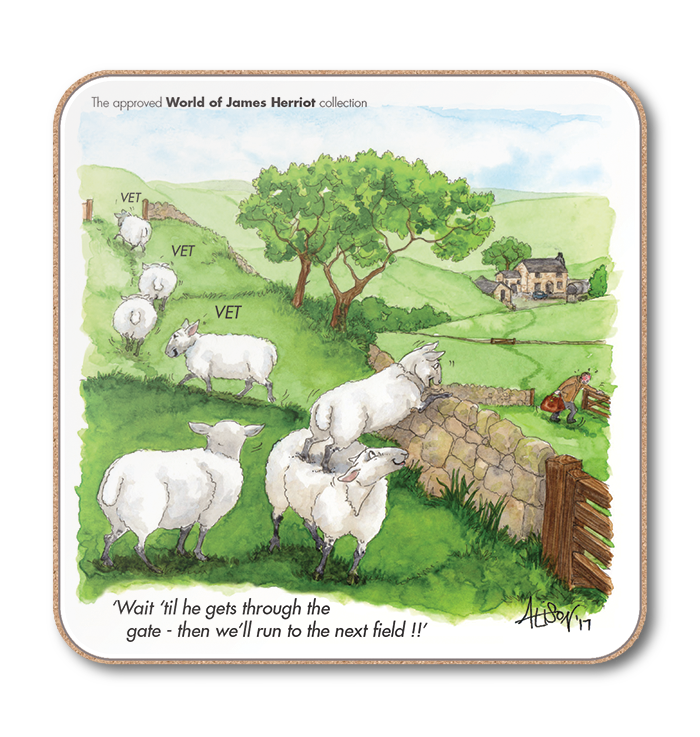 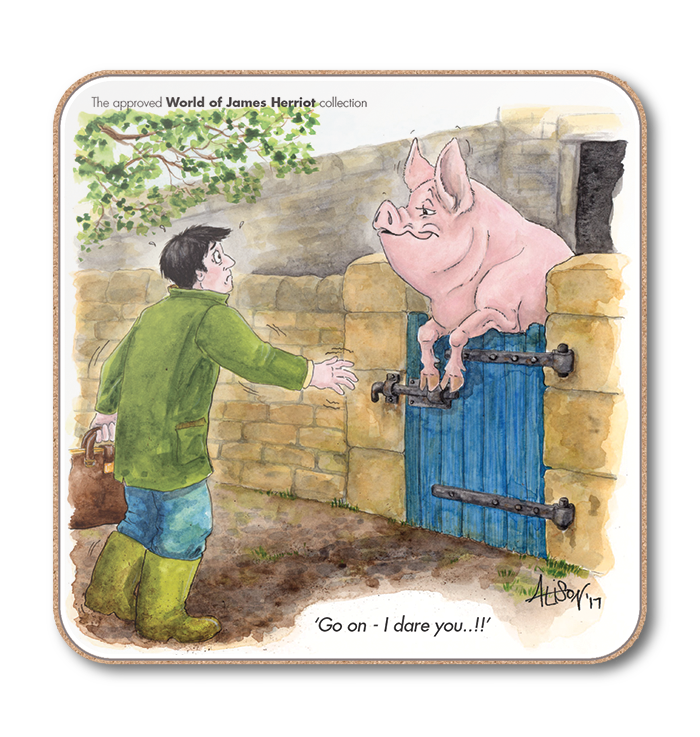 We already know how durable and colour-fast the new World of James Herriot coasters are … they are being made by the same British melamine manufacturer that’s been making our much-loved Alison’s Animals coasters since 2012! 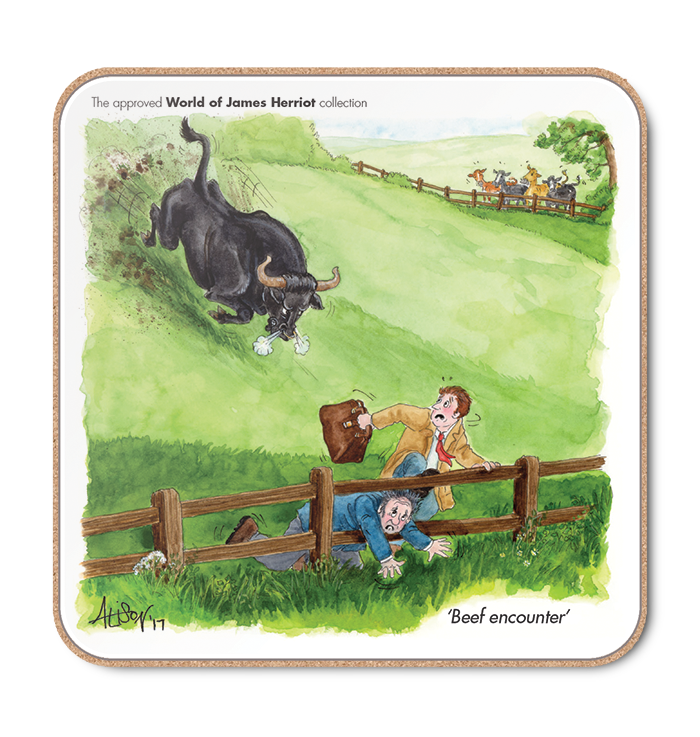 Size 100mm square, cork-backed and supplied in packs of six. 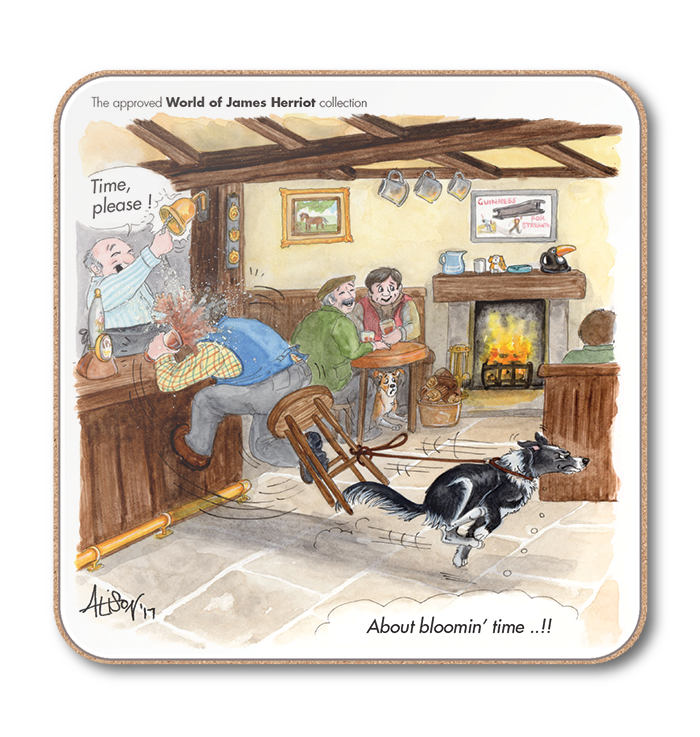 Click here to view our introductory video. 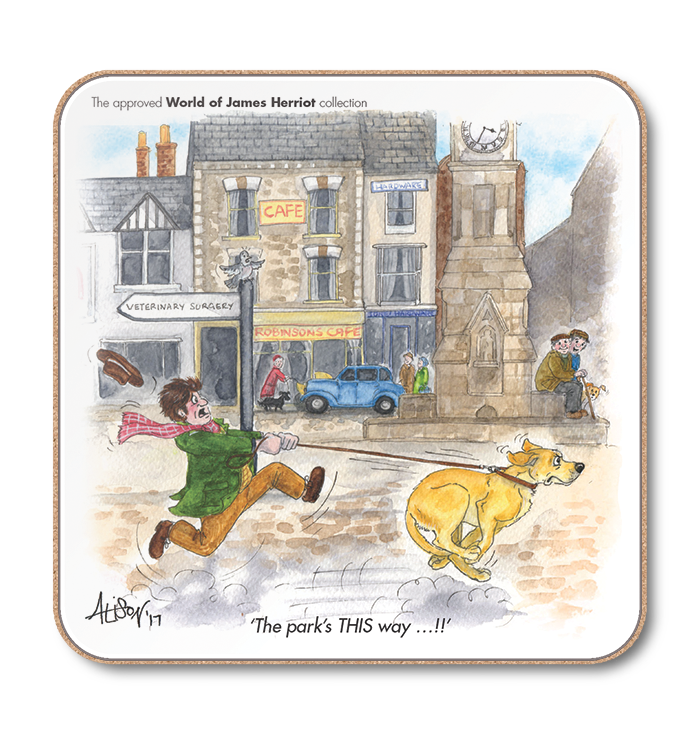 Prices below are per pack of 6 coasters (single design). 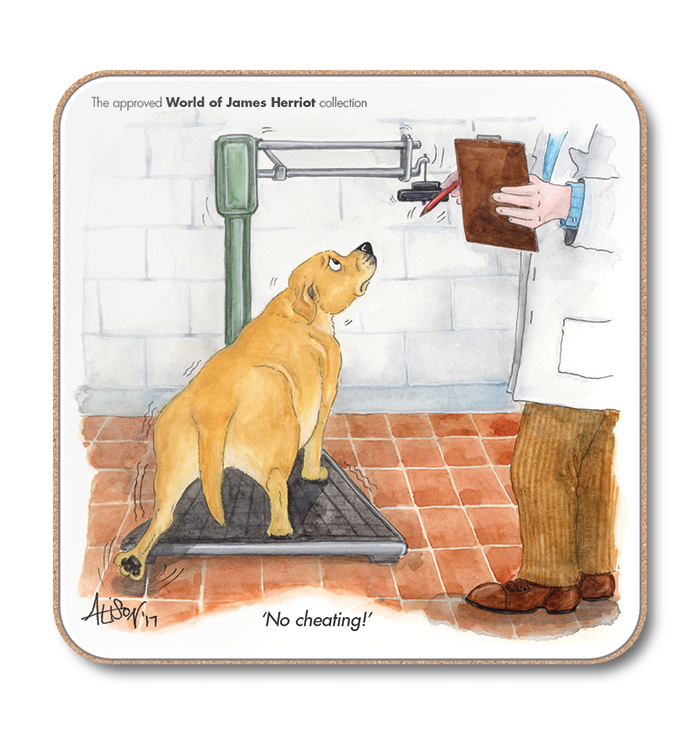 Click any image to see larger version.